The following article is a compilation of experience of the author over the last 23 years, both as a trial attorney and witness in hundreds of trials. His trial witness experience has included testifying in Municipal Court, Common Pleas Court and Federal Court, including multiple states. What follows is based on being on both sides of the witness stand and his comments are applicable to the novice witness as well as the expert. Testifying in court is not a game of luck or chance. It is a game of skill. 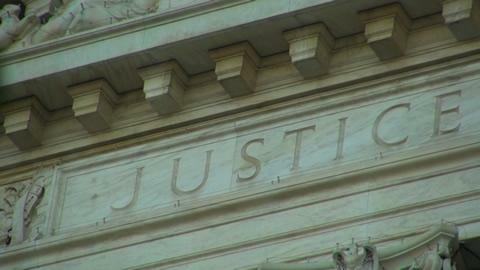 Testifying in court and winning cases depends on the written, verbal and non-verbal skills of the witness. Viewed simply, a trial is nothing more than a contest of two or more competing stories. A good trial attorney must understand that people, in general, understand, remember and restate events in terms of stories. The more vivid the story the more likely you are to persuade the listener to your version of events. If pieces are missing from your story the listener, juror, will fill in the blanks from their own personal experiences or judgments of what must have happened. A second simple rule of thumb is everyone in the courtroom already knows the story, at least their version, and is competing for the attention of the jury in order to persuade them one way or the other. The job of the witness is to keep the jury focused on the witness and not the activity of the competing attorneys. One of the greatest mistakes a witness makes is not being a master of non-verbal communication skills. Some studies have suggested, in a learning environment (like a trial) the listener (jurors) will follow the 70/30 rule. In other words, they are judging the credibility of the teacher (witness) on 70% of their non-verbal communication. Specifically, jurors are looking for non-verbal signs of deception. Face it, in the jurors minds someone must be lying or they wouldn’t be sitting in the jury box listening to all these stories or what did or did not happen. A good trial attorney will ensure their witness is conscientious of the message their non-verbal communication is sending. I utilize the acronym C.A.R.E when instructing witnesses on surviving in the courtroom. Connect with the jury. Utilize eye contact when telling your story. Lack of eye contact is a sure fire non-verbal sign of deception. This is difficult for many witnesses, because we are taught to look at the person talking to us. So, most witnesses engage in a conversation with the attorney asking the questions. The attorney already knows the answer. A witness needs to tell the jury the story and involve them in the events. I tell witnesses to give an occasional head nod when talking to the jury, especially when you want them to agree with you on a certain point. It is vital for this to be effective, however, that the witness utilizes this technique first on a fact the jurors already know to be true. For example, when describing the location of an event describe it in picturesque terms that paint an image for the jury. Don’t just give the name and address of the hospital emergency room where the alleged malpractice occurred, but describe it in relation to other notable landmarks in the area. For example, the County General Hospital, that sits across the street from the County Courthouse and just a few blocks away from the Community College. The witness needs to tell the jury these “facts” and give a simple head nod to gain their agreement. Then when you want the jurors to agree with you on a fact in controversy and nod your head, you have already proven your credibility on other matters and they are more likely to nod their heads in agreement now. I utilized this very technique in a multiple defendant murder trial in Atlanta, Georgia in 1999. I used the tactics on the judge during the motion to suppress and drove the defense crazy. They even asked the prosecutor to tell me to stop doing it before the jury trial started, knowing I was going to endear myself to the jury. By the way, I was a cop from Ohio testifying in Atlanta and the technique still worked. I had the judge and jury nodding their agreement all day long. Articulate into descriptive words what you saw, heard and did in order to arrive at your opinion. This is not the time to be Joe Friday, you know, just the facts m’am. But please use words the jurors can understand. If you must use technical jargon, translate it into plain English for the jury. Reflect on a question before you answer it. Lawyers are famous for rapid fire questioning, double negatives and compound questions. They will also talk about everything but the evidence. Terrance McCarthy, a highly respected Federal Public Defender in Chicago, once told me that 95% of all criminal defendants have no defense. So whatever you do, he teaches defense attorneys, is don’t talk about the evidence. So listen to the question before you answer it and utilize a technique called deflect and redirect. Through your careful reflection on the question, you the witness, can deflect the attorneys attempt to confuse the jury and redirect them back to your version of the facts. Repetition is the mother of all learning. The more the jury can hear your version of the facts, the more likely they are to remember it and come to believe it. But it all starts with the witness “hearing” the question and framing their answer appropriately. Emote with your voice and your non-verbal communication. Communicate your confidence, commitment, persistence and enthusiasm for your side. This has a lot more positive impact than phrases like “I’m not sure”, “I don’t know: or “Maybe it’s possible”. Nobody comes to court saying, “Boy, I’m here to lose today.” Come with a winning attitude and the techniques to successfully conclude your case. I have prosecuted just about everything from red light violations to murder. I have testified in everything from jay walking to aggravated murder, before judges and juries. But one thing that has never changed is my philosophy and tactics in reaching the jury. This stuff works and I’ve seen the verdicts to prove it. Copyright © 2006 Patrick J. Welsh, All rights reserved. No portion of this article may be reproduced without the express written permission of the copyright holder. If you use a quotation, excerpt or paraphrase of this article, except as otherwise authorized in writing by the author of the article you must cite this article as a source for your work and include a link back to the original article from any online materials that incorporate or are derived from the content of this article. Expert witness, consultant,and instructor on matters including police use of force, policy and procedures, and search and seizure.